What do you do with a technologically aided telepathic connection to a rat’s tail? Odd questions like this become more relevant as developments in cybernetics and communication technology allow for strange interactions with the world around us. Without the aid of creative imagination you get a bizarre bit of cultural kitsch, delving deeper you can encounter profound questions that crack into the mystery of mind and body, and the synaptic symetry defining so much of our self perception. If you tread carefully you enter the realm of Sacred Geometry, encountering applications of mathematics and ratio that bridge the gap between material science and the more aetheral realms of human existence. It may seem counter-intuitive to connect Sacred Geometry to cybernetics, but in this kind of wider application is exactly the domains where theories of integral mathematics can be most fruitfully applied. The neuro-chemical maps that connect our nervous system to our body and allow us to move are predicated on mathematical relationships that can be found throughout manifested reality. Seeking to understand these relationships, and the structural web that they work throughout the universe, can provide a revolutionary change in how we view our place in the world, and guide our applications of science to more material concerns. In partnership with Evolver Learning Labs, I’m hosting a live, 5 part, interactive video course starting on Sunday, April 21st, which will explore the connections between modern advances and ancient algorithmic insights, while looking forward to how these ideas can be used to guide us into more mindful use of our technological proficiency. 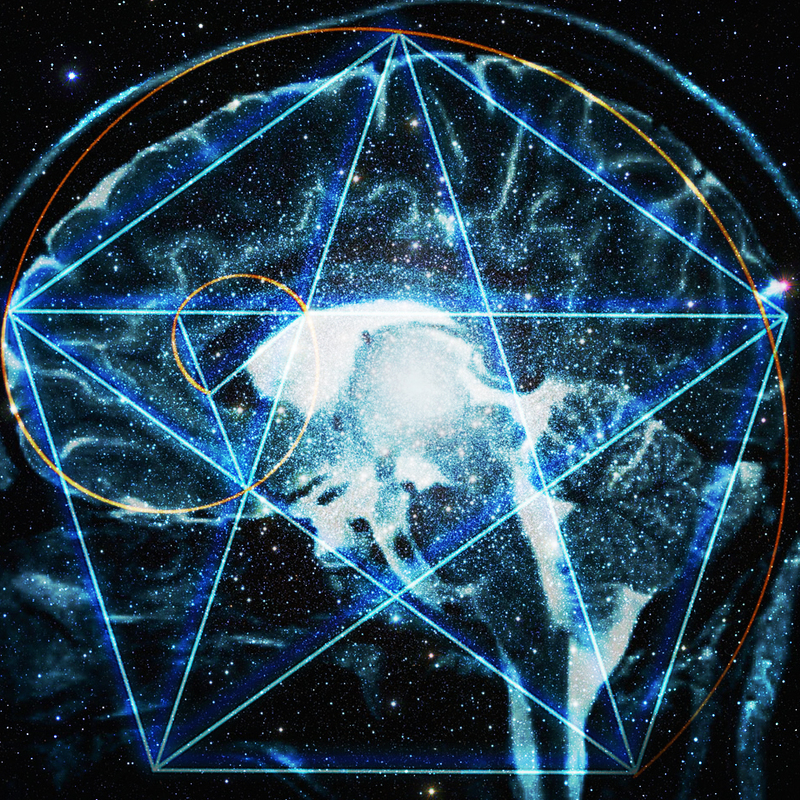 We’ve invited some of the leading scholars in sacred geometry to bring their specialties together for a rare opportunity to open up this art to contemporary concerns. With a field of inquiry which can quickly slide into gross speculation, we’ve cultivated a group of scholars willing to remain intellectually adventurous while keeping their insights grounded in conscientious methodology. We will be covering everything from the natural emergence of these patterns in geological formations to the impact of these forms on our conscious perception. This potent meeting of minds will foster an expansive discussion which seeks to work through the full implication of these ideas. My recent trips to the Morbid Anatomy Library and Observatory Room in Brooklyn have demonstrated how fruitful a thoughtful gathering can be. I’m hoping that this webinar can be an extension of that into the digital sphere, while carrying the same potential for connections and creative growth. There’s still time to sign up if you are interested in joining us for the series, and I’m sure those of you that do will find your immersion into these areas of investigation as intimately fascinating, and personally fulfilling, as those of us who are creating the event. Head over to the seminar page at Evolver Learning Labs for more information. David Metcalfe is an independent researcher, writer and multimedia artist focusing on the interstices of art, culture, and consciousness. He is a contributing editor for Reality Sandwich, The Revealer, the online journal of NYU’s Center for Religion and Media, and The Daily Grail. He writes regularly for Evolutionary Landscapes, Alarm Magazine, Modern Mythology, Disinfo.com, The Teeming Brain and his own blog The Eyeless Owl. His writing has been featured in The Immanence of Myth (Weaponized 2011), Chromatic: The Crossroads of Color & Music (Alarm Press, 2011) and Exploring the Edge Realms of Consciousness (North Atlantic/Evolver Editions 2012). Metcalfe is an Associate with Phoenix Rising Digital Academy, and is currently co-hosting The Art of Transformations study group with support from the International Alchemy Guild. For more information on his collaborative work please visit Liminal-Analytics.org.